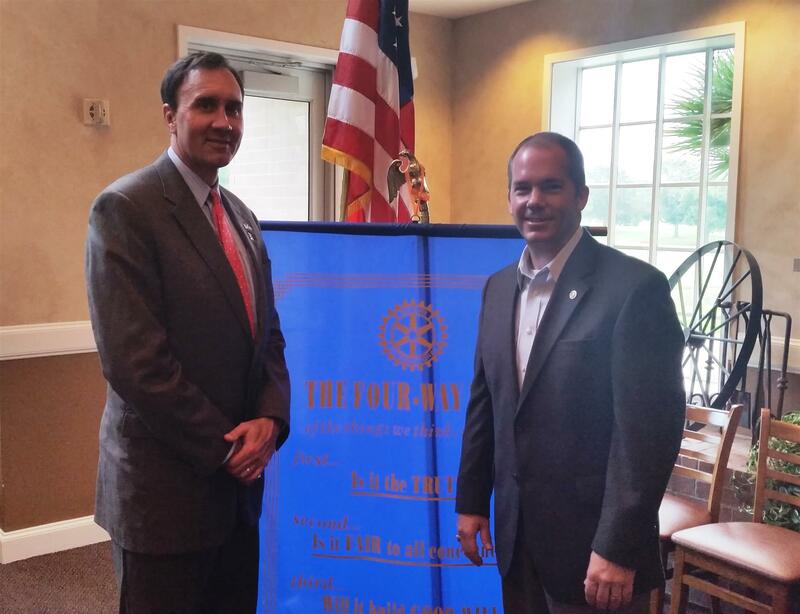 Congressman Pete Olson spoke at the Cinco Ranch Rotary Club on Tuesday, September 1st. Congressman Olson represents the 22nd Congressional District of Texas, an area that includes the Fort Bend County portion of the greater Katy area. The congressman's speech covered topics included the Iran nuclear weapons negotiation, the EPA, the IRS and the 2016 Presidential race. Thank you for your sharing your time with us Congressman Olson!